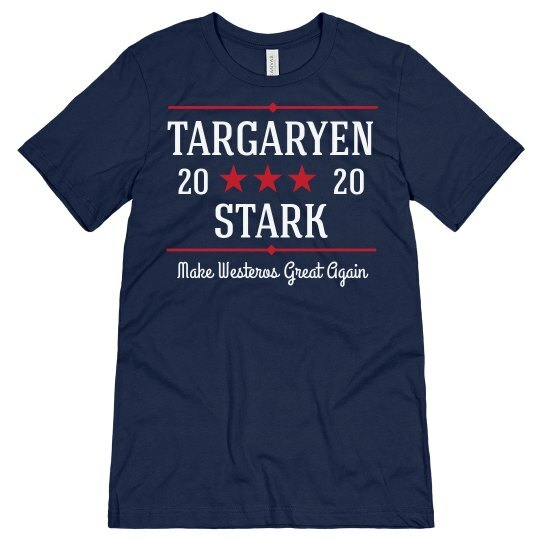 Make Westeros great again by supporting your two favorite leaders for the 2020 presidential election! Show off your nerdy side with this funny political themed Targaryen and Stark tee. Because they can't win the throne alone!